We strive to be an opportunity engine for all kinds of people, in all kinds of communities across the continent. Personal profiles are irrelevant; what matters to us are core values like ambition, work ethic and integrity. So we’re proud to partner with suppliers that reflect the people we’ve pledged to serve. This policy of deliberate inclusion helps us understand and anticipate the real needs of our clients, no matter who they are. We are driven to build relationships of mutual benefit with businesses owned and operated by qualified minorities, veterans, women, and LGBT people across the country. We think this builds better businesses with bigger hearts – and bottom lines. And that’s good for everyone. Promote an “open door” atmosphere within the company that provides guidance and consultation to potential diverse suppliers and further develops their business. 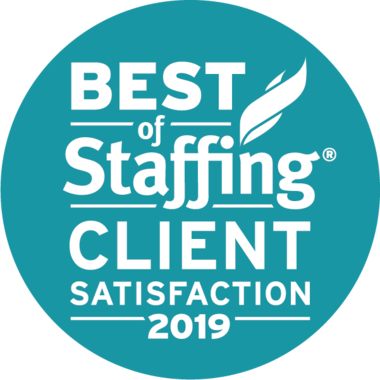 Are you a certified diverse supplier and interested in becoming a vendor for Integrity Staffing? To register with our Supplier Diversity program please contact us at 302-504-9896 or email supplierdiversity@IntegrityStaffing.com. Based in the Greater Philadelphia area, AdMark360 offers a deep understanding and experience of what is necessary to launch a successful marketing campaign. The LGBT-owned business specializes in three key areas of service: print, promotional and creative. Admark360 currently supplies promotional products and apparel for Integrity Staffing’s locations across the U.S. Founded in 1997, Admark360 has been built upon a solid foundation of passion for marketing combined with years in the trenches at some of the top marketing companies and advertising agencies in the industry. They serve businesses of all sizes from start-ups to Fortune 500 companies. Admark360’s print management services offer both domestic and international solutions. Solid relationships with their partners garner successful, professional and cost effective results for their clients. Whether it's a business card, direct mail campaign or a major catalog print run, their experience ensures quality projects, done right. When it comes to social responsibility, Admark360 understands that its customers face an increasingly discerning group of consumers who want great quality and value and are concerned about how the items are produced. Compliance in the promotional products industry is a key element along all steps of the supply chain. Through systematic third party inspection, audits and education, they keep high standards throughout their vendor and manufacturing base. Admark360 was connected to Integrity Staffing Solutions through the NGLCC affiliated, Independence Business Alliance (IBA), Greater Philadelphia’s LGBT Chamber of Commerce.